However, what sets this tale apart from myriad others like it is its perspective - that of an introverted pre-teen boy. 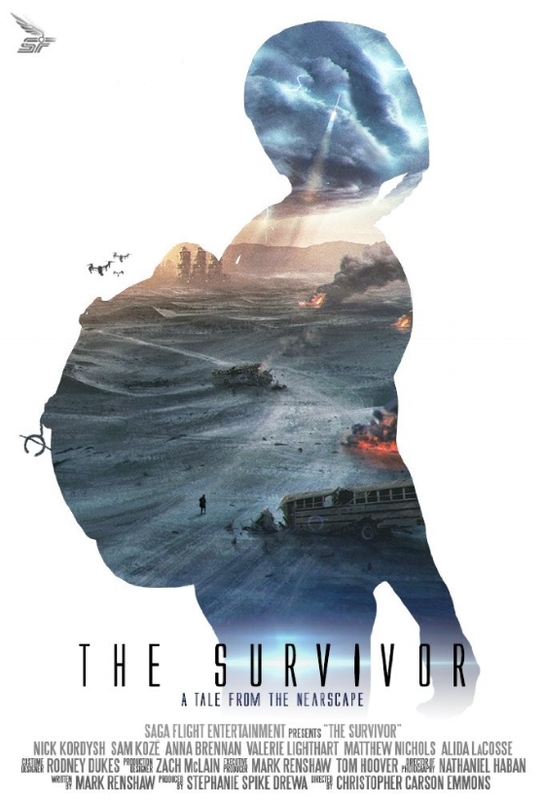 Written by Mark Renshaw and directed by Christopher Carson Emmons for Saga Flight Entertainment, The Survivor centers on Billy (Nick Kordysh), a young boy living with his critically ill mother (Valerie Lighthart). In order to get his mother medicine and water - which is now a priceless commodity - Billy embarks on a supply run with his late father's nearly-depleted oxygen mask as his only protection from the extremely toxic atmosphere. His sole companion on his dark odyssey is his beloved toy robot. Billy must avoid many dangers while scavenging for supplies, including corrupt law enforcement officials, and cannibalistic religious zealots. Still, the most dangerous obstacle in his path lies much closer to home. What really struck me about The Survivor is how Mark Renshaw's script impressively manages to deftly touch on several sensitive subjects, such as child abuse, the dire implications of climate change, and the corrosive affect of totalitarianism without bogging down the narrative in self-indulgent sermonizing. The end result is a briskly paced, disturbing glimpse into an increasingly plausible nightmare future.